Jeans are without a doubt the backbone of our wardrobes. Winter, spring, summer, or fall they are the item that is a true staple; no matter the season. Over the last few years jeans have just remained stale…. skinny jean after skinny jean. 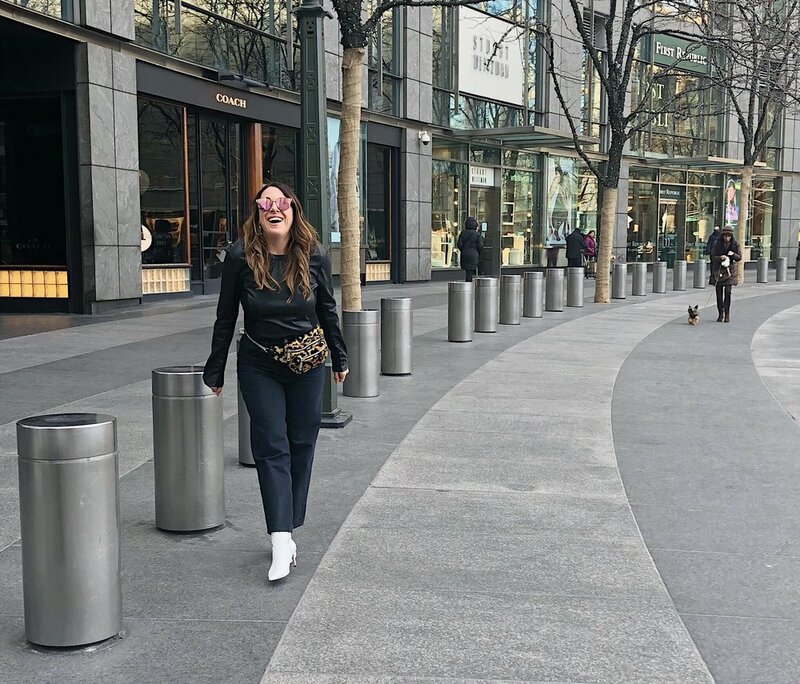 And while I am not advocating to toss all of your skinny jeans out the window I am saying NOW IS THE TIME to break out of the jean mold we have all been stuck in for years. Here are five styles that are super on trend this winter and will remain in style for the seasons ahead. Take the silhouettes I am showing you and mimic them for warmer months just by changing the shade and weight of the denim. OK ladies, it is time to move those skinny jeans to the back of your closets and make way for these updated styles! We have all been wearing the distressed skinny jeans for several seasons now so let’s update that ripped jean trend with an oversized style instead. You want these to be worn big so make sure you find a brand or size that isn’t too snug but that allows you to chic and relaxed. Again, with added volume around your legs if you fear you are your figure is lacking shape or you are taking on the appearance of an Olsen twin then taper your top off with a variation of tucking, adding a belt, or wearing a more fitted top piece like a structured jacket. 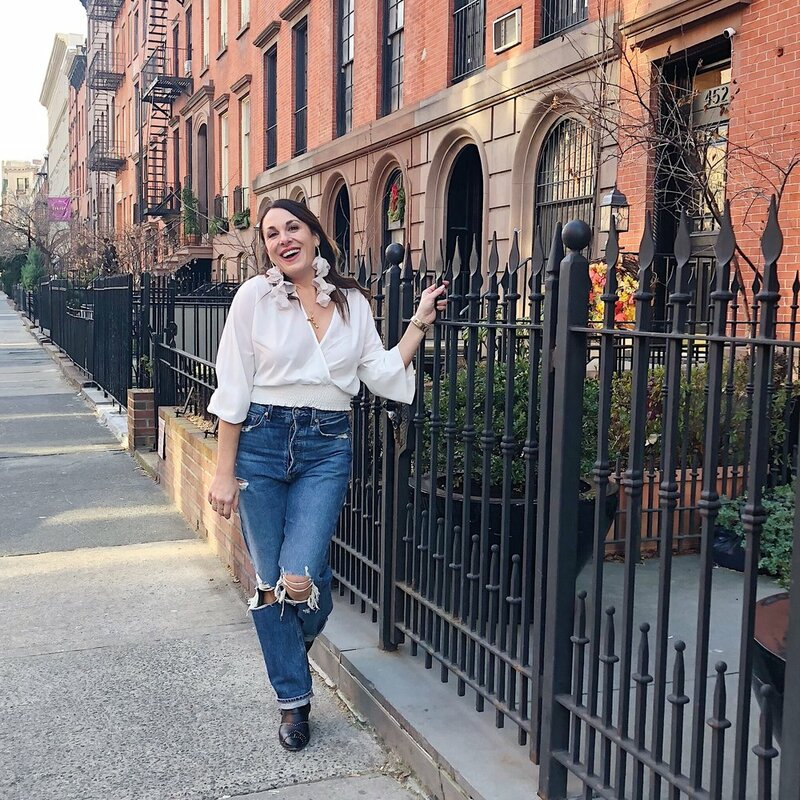 The jeans we used to laugh at our mom’s for wearing have been reborn and if you style them correctly they are a great denim trend to add into your wardrobe. Wear them with anything from heels to sneakers, dressed up or casual. The Levi’s 501 style has new life and have brought this trend back from the dead. No one is laughing any more. A great option to denim this season is Corduroy. This fabric is the perfect throwback to decades past. Find a great corduroy that you love, preferably in a fun hue, and wear them like you would a jean. Flare, straight, bootcut, crop pick any silhouette you want to carry out this look. As much as we love our denim sometimes it is fun to change things up a bit and to play a different tune. Adding a fun detail to a jean like the wide cuff gives a unique feel to a jean. I especially love this trend with a great heel. 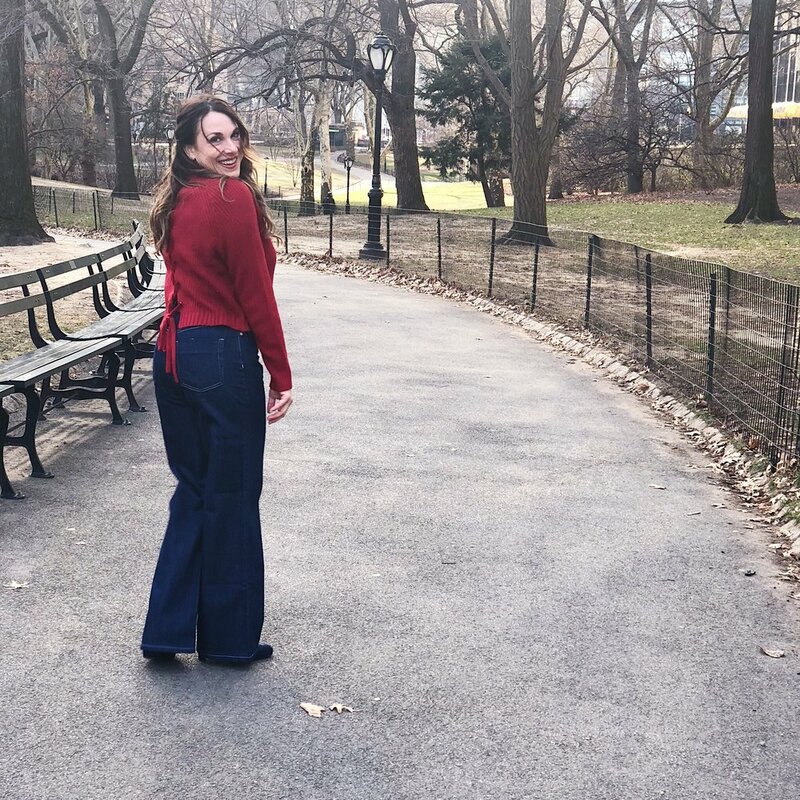 And the really fun thing about a style like the ones I am wearing is that you can uncuff them and wear them as a wide leg with sneakers or even flats. Full disclosure I am only 5’2” and when I bought these jeans they were crazy long on me, so I shortened them a lot to get the look I wanted. It gives you two looks in one style. The exact opposite of those skinny leg jeans is the wide leg. Get a pair to rock with heels or even get a shorter pair or hem a pair to wear with a chunky sneaker. This trend can be so flattering with them being more fitted around your waist, bum, and thighs and then offer a wide leg. If you are shorter or short waisted do a little front tuck or a full tuck and add a belt. The last styling note I want to give is that unless you are of model height and proportion jeans, more often than not, need to be tailored. Do not expect to just be able to purchase any of these styles and wear them right off the rack. If you are going to update your denim wardrobe then go the extra mile and have them made to fit YOU! If you have any questions on these styles, how to wear them, or what is best to add to your wardrobe feel free to DM me and I will be happy to be your virtual stylist!